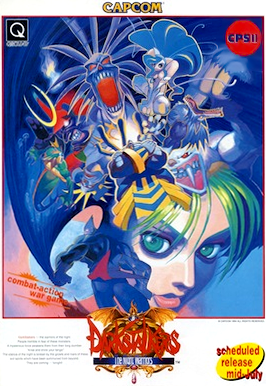 Darkstalkers, known in Japan as Vampire, is a series of fighting games that began in 1994 with Darkstalkers: Night Warriors. It also includes a media franchise with cartoon series, comics, and other media. The game players include various types of monsters and their hunters. The game is based on Gothic horror themes.